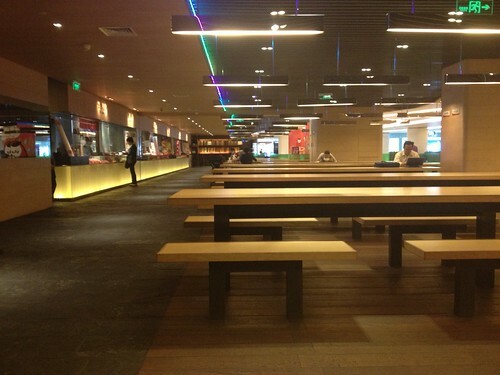 This is a food court at a business district, two subway stops away from me. It's one of my favourite lunch places on a Sunday just because it is deserted. Strangely, the place only have four to five stall of which one offers Vietnamese pho and the other Bak Kut Teh. Granted both tasted a vast departure from the "real thing" but it is unfortunately the closest that I can get over here. As the old saying goes, "Mai Hiam Buay Pai". Like I said, it is strange to have such a large food court with so few stalls and so when the business crowds are away for the weekend, I love the large quiet space that the place have to offer. A welcoming change from the awful hustle and bustle of the capital. Across the walkway from the food court are the restaurants of which one offers Peranakan cuisine which I go from time to time to get my rendang fix. The food is quite good and close to what we get home. The otak otak is just one of the very few that disappoints, the other being gado gado. An interesting thing here in the capital is that all restaurants provides free wifi and it has become a habit, even for me, to ask for wifi password the moment I take my seat. 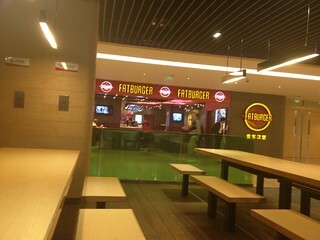 My regular seat is across FatBurger where I have been there once. The burgers are pretty awesome but at around RMB 65 (SGD 15) for a burger, rings and a drink., it's not my first choice place for burgers. I rather spend a little more and get a more decent one at restaurants. So why die die must sit across from FatBurger? Coz, they haven't change their wifi password from my last visit mah. Haha.